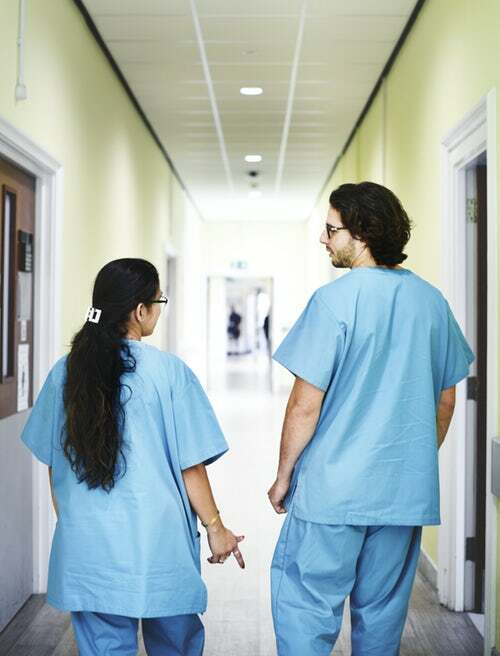 The Times recently reported that English tests for foreign nurses are to be relaxed, after regulators said that the requirement of higher standards was contributing to NHS staff shortages. This news might have been more prominent, but as it is happening behind the scenes of the crisis that is the UK’s Brexit negotiations, fewer questions are being asked. One such question ask, why is there such a shortage of native English language speakers pursuing a career in public service? Why are so many preferring careers elsewhere in the nation’s industry? Is there a deeper societal problem which isn’t being addressed? The shortage of people looking to pursue caring and medical professions is behind one of the biggest crises our country has faced in years– The Guardian reported that the NHS ‘could be short of 350,000 staff by 2030’. This when the population will soon be in need of good healthcare on a greater scale than at present. And Nursing course applications have plummeted by a third in two years. Yet by comparison, big four accountancy firm EY is quoted as receiving 12,000 applications for 800 UK graduate positions. It is evident there is no shortage of graduate talent in the UK. Let’s look at the salaries. According to Prospects UK, a fully-qualified nurse earns £22,128 and if you’re a doctor who started your specialist training in 2017 your basic starting salary is £36,461. This compares to a new graduate joining the big four accounting firms in the UK at around £27,000. So it’s definitely not just about money. Perhaps the choice of career is made based on brand pull and promise; you certainly can’t underestimate the allure of large corporations to academically brilliant and highly capable applicants – those in pursuit of a lucrative career in industry. Many of those attracted to industry have studied a diverse array of disciplines at top universities, with a number excelling in science subjects at first degree and postgraduate level. But the reality is that time and again, academically gifted students are choosing to pursue industry over public service (NHS) or academia. How can this be changed? How can the potentially brilliant surgeon or scientist of tomorrow be encouraged to pursue a passion in their field over the lure of a lucrative corporate job? Perhaps the answer starts in schooling, challenging those media perceptions of public service work. Or by offering a range of incentives to those choosing to go the extra long-haul for studies required to enter the medical profession. We often hear of the NHS crisis in the news – shortages of staff, doctors working long hours. This trend is also mirrored in teaching. But is the corporate world really any better? It would seem not, as many new graduates put in long hours working on client assignments and compete tirelessly with each other to prove their worth and climb the ladder. Indeed, a career in the corporate world can take a huge mental and physical toll on young people, who can easily become jaded by the time they enter their 30s. Also, by this time in their lives they may well be starting families and wishing to seek out a more even work-life balance. Many people look for more meaning in their career, and this is true across the corporate world too, yet it doesn’t make headline news. One recent report showed that 97% of office workers are unhappy with their job. If our children show academic potential or a passion for the sciences, or any STEM subjects for that matter, perhaps it’s time to start to take matters into our own hands; to promote the benefits of following our hearts. We should offer them more encouragement and incentive to use their best academic assets, no matter what field they are in. In doing so, the next generation can be given a better chance, or a better wish, to reestablish vocational balance in a country that is crying out for talented public servants. The talented people who will bring the breakthroughs of tomorrow are here already, but at present, perhaps they just can’t see how they can be in a position to make them. We need to clear the path.